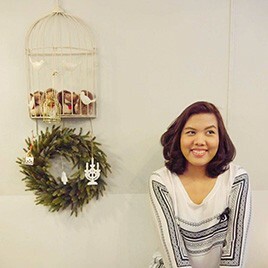 Natchanin Prasopsom (Pom) is ELC’s Marketing Manager for Thailand and is based in Bangkok. Pom joined the ELC team “remotely” almost eight years ago and supports our education agents and prospective students in Thailand. She graduated from a Bachelor degree in Arts (Psychology) at Thammasat University in Thailand and then from a Diploma of Hospitality at William Angliss Institute of TAFE in Melbourne. This means that beyond her love for Australia, she understands firsthand the experience that international students embark on, the questions they might have and the challenges they might face. This personal experience and her hard work for ELC make her the best person to support our Thai agents as they guide students when they prepare for their journey. Pom is also involved in coordinating ELC’s Teaching Internships program in Thailand. Although she works remotely, Pom is so caring and dedicated that it feels like she is an integral part of our Sydney family. In her free time, Pom likes to watch live sports such as Football, Badminton and Volleyball. Latest achievement: Hitting a sales record in 2017 for the Thai market. Proud moment: One of the students I counselled at a student fair applied to ELC not only because of ELC’s quality but - she said - because I am funny, supportive and welcoming. So she had no hesitation to choose ELC! Special moments: Receiving good feedback from Thai students and when they recommend ELC to their friends.